Adam Gillian probably couldn’t have imagined one day the only cartoon character he most identified with since childhood would resurrect his life. From the ashes left from his inferno of misfortune, Adam wandered the streets of Edmonton, Canada. The Gateway to the North, Edmonton, was the only home the homeless Adam had to himself. Trying every day to survive and not know where his next meal would come from, Adam would sometimes make the money he needed to buy food by selling discarded items he discovered hidden in trash receptacles and dumpsters. He frequently sold artifacts to a local antique store, Curiosity Inc.
One life-altering day in the “Winter City,” Adam was rummaging through garbage and unearthed a medium size plastic sheet with a scene from his favorite Disney movie, Bambi, drawn on it. When Adam was only a child, his mother got killed by a drunken driver when she was on her way home. Adam saw the feature-length cartoon sometime later. 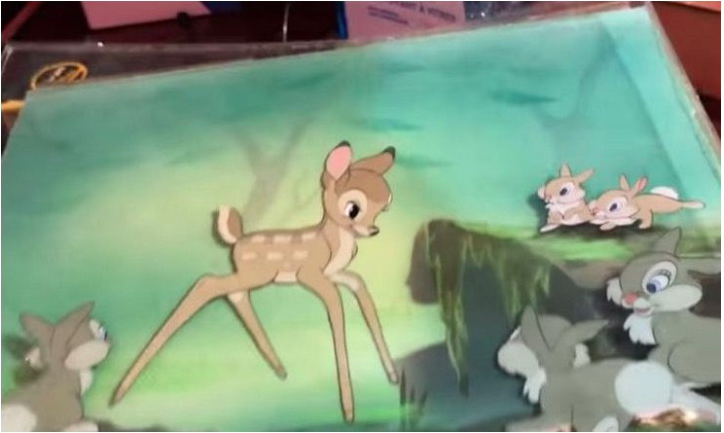 He fell in love with the movie because just as Bambi’s mother got killed by a virulent hunter and healed, Adam wanted to do the same after his mom’s violent death. Unfortunately, his life hadn’t turned out as “happily ever after” as the lovable deer, but Adam had the same resilience to overcome his present adversities. He would have kept the drawing for himself to treasure it for obvious reasons, but he sadly realized he had no way of storing it. So, he went to Curiosity Inc. to hand it off if he could. Like any other transaction, he sold the drawing for $20 and then he and the store owner, Alexander Archbold, went about their day. When it came time to resell the drawing, Alex found out the picture was worth more than $3,000. Alex couldn’t believe it. 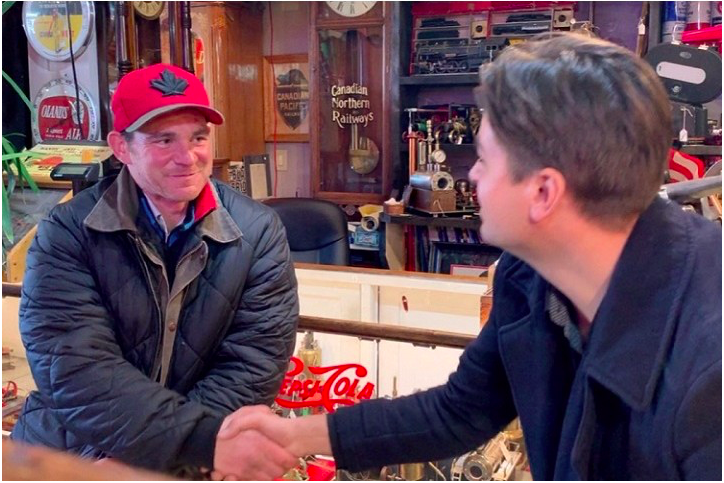 Once the fees were taken out, he realized his business owed the homeless Adam $1,700.35 for the previous barter. The only problem was that Adam belonged to the street, and geographically, the entire city was his home. How would Alex find him if Adam saw nothing in the trashcans to sell? Alex has searched all overlooking for Adam. He knows this money would indeed be a blessing for the vagabond friend. As each day passes, Alex ceaselessly dedicates a portion of his off time looking but unfortunately not finding him anywhere. Alex wonders about his safety. To better his life when Adam is seen or comes to the store again, Alex started a GoFundMe page. Hundreds of people have contributed and its expected to increase. Some of Alex’s friends have developed compassion for his cause and asked to help in the search. Since they didn’t know what Adam looked like, Alex printed out a still image of Adam from the store’s security camera. Alex won’t rest until Adam gets found. Some wonder why Alex doesn’t just keep the money made from the picture for himself. He has probably considered it but that little angel sitting on his shoulder most likely persuaded him with little effort that the money rightly belongs to his lost, nomadic excavationist buddy. Plus, Alex knows the money will help him until he finds a place. This story goes to show that there is warmth in humanity and kindness is still a scent lingering in the air. If you are anything like us, you probably do not remember your college graduation too well. After spending four years (or maybe a few more, we don’t judge) working towards a goal, you would be forgiven for wanting to unwind with a few adult beverages. After all, who really wants to contemplate the next step at that point? Gone are the days of cheap pizza slices and all night drinking benders. Enter the days of subprime mortgages and long work commutes. That’s why we can fully understand where this student was coming from once it came time to graduate. He decided to bring a special friend to his graduation, so that they could share a moment that they would not soon regret. Get your minds out of the gutter, people. Massimo Montalbano was not trying to get lucky on his last night of college. He just wanted to party with his good friend. As an animal science major at the University of Missouri, he has a unique outlook on these sorts of things. He did not want to walk across the stage without taking the time to acknowledge the friends who helped him get to this point. Amelia the cow was finally going to receive her flowers! 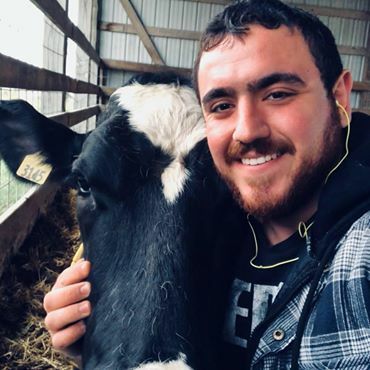 Like most students in his major, Massimo spent much of his time at the Foremost Dairy Research Center. This is where he got to know Amelia and he bonded with her the most. All of the cows that are located at the research center became friends of his but it is safe to say that Amelia is his bestie. Of course, getting the cow onto the campus for the big event was going to be hard work. It is not nearly as it seems. Luckily, Massimo was dedicated to the cause and was not about to give up for any reason. His determination would carry him through. He knew that he had to get Amelia to this photo shoot and allow her to enjoy the moment alongside the rest of the students. Jim Spain is the university’s vice provost and his permission was needed before the cow could be brought onto campus. Believe it or not, this is not the first time that Spain has had to grant such a request. Cows have been taken onto the quad before and we are going to go out on a limb and say that they probably will be again. This is understandable, since they play such an instrumental role in the educational process of these students. The operations department finally granted Massimo’s wish and his trip to campus with Amelia in tow inspired a lot of commentary. The cow was squeaky clean, thanks to the nice bath she had before the ceremonies. Having the chance to celebrate a moment this meaningful with a friend this special is something that Massimo was sure to cherish. College is a moment in time that we are never going to get back. Anyone who has ever listened to their parents or older siblings reminisce about their college years is well aware of this fact. Massimo’s future outlook is so bright, he is definitely going to need a new pair of shades. Now that he is done with his schooling, he is looking to take that all important next step. He’s even put in the time and effort necessary to score a new post graduation gig! He will continue to spend time with cows on a daily basis by working with the good folks at Grasslands Dairy in nearby Monett. Hopefully, he is able to befriend some more awesome cows along the way! Keeping your hands warm when the weather turns bitter cold is always a challenge. Many people feel if they can just keep their hands warm, they would feel warmer. It is a terrible feeling when your hands are so cold they burn. It even sounds wrong. If you ever used those hand warmer packets, you know they aren’t the most useful things ever. Sure, they are warm, but they are small and I don’t know about you, but I always seem to lose them. 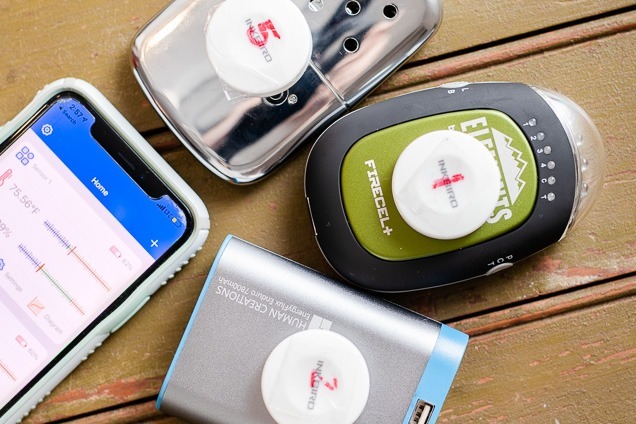 All of those who have suffered with burning red hands and numb, tingling fingers can now rejoice because technology is here to help with electronic hand warmers. Gadgets are always fun and even better when they prove useful. These rechargeable hand held warmers prove to be raising the bar. Not only can they warm your hands, but can be a battery for your phone. This is perfect for the person who loves to be outside hunting in the winter. This warmer has heat on both sides and provides seven hours of heat for each charge. It is constructed from aluminum and has two heat settings. It can also be used as a flashlight that has a strobe setting. It can be used as a battery backup and comes with a carrying case. This hand warmer is small but mighty. It can easily be carried in your pocket. It has two heat levels so you control just how warm you keep your hands. It has a power button that is easy to control. It’s battery is larger than most coming in at 4400 mAh. It is constructed from aluminum. This hand warmer heats up quickly, in as soon as three seconds. It provides eight hours of heat for each charge. It has three heat settings, the highest of which is 131 degrees. It can act as a battery for your phone with a USB cable. This warmer is two sided and is constructed from aluminum and plastic. This is a big boy, hence the name. Both sides of the warmer heat up and the 6,000 mAh battery provides up to nine hours of heat. It comes with two power levels. This warmer is too big for your pocket, but can warm your hands and be a battery for your phone at the same time. It also comes with a flashlight. This is a big brother to the Slim version. It has two power levels, one at 109 degrees and one at 120 degrees. It will keep your hands warm for six hour on one charge. One unique feature is this warmer has a display that shows the battery level. This display is on top of the hand warmer, so it’s easy to know just how much battery you have left. It also comes with a power button. The best way to spread Christmas cheer is not just singing loud for all to hear. A zoo in Japan has been dressing their penguins in Santa garb for their daily walk for a number of years. Matsue Vogel Park in Shimane Prefecture, which is located in the Chugoku region on the main Honshu island in Japan, holds a daily penguin stroll throughout the year, but during the Christmas season it becomes a festive parade of sorts. The naturally delightful creatures are dressed in red Santa Claus-esque robes for their daily walk as parkgoers enjoy the scene. These birds without feathers give the polar bears and even Santa’s elves competition for the most adorable thing of the season. Matsue Vogel Park is a beautiful place with carefully planned architecture, friendly wildlife, and flowers in bloom year round. Vistiors are granted the opportunity to walk alongside the penguins every day. 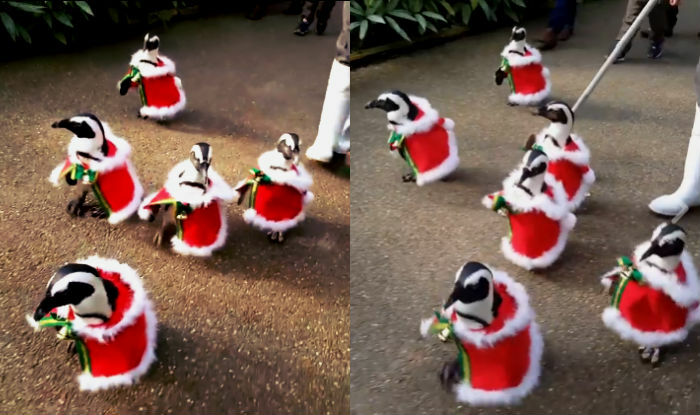 During the holidays, zoo officals up the anti by dressing their penguins in red cloaks with a fur trim complete with green and gold accent ribbon. Don’t forget the bells, though. It’s not Christmas without bells ringing, so park officials also attach jingle bells to the red coats, producing a cheerful jingle bell noise as the penguins waddle through the park. The festivities of dressing up penguins is not reserved for Christmas, however. During the World Cup, these penguins wore Japanese jerseys to support the hometown football club. Not everyone loves the festive birds. PETA (People for the Ethical Treatment of Animals) Asia released a story in 2016 citing concerns over the treatment of the flightless birds. The article even goes as far as calling the zoo a vile facility as they’ve subjected the birds to animal cruelty since 2009. The general consesus is that these friendly penguins bring a spirit of joy and fun to the holidays. Unfortunately, it is not in the cards for many folks to travel to Japan for Christmas. Fortunately we live in a modern technological age complete with viral YouTube videos and social media. These technological advances allow for the sharing of this festive fun across multiple continents. Check out this video of the Santa plaid penguins on one of their daily strolls through Matsue Vogel Park. The Shimane Prefecture not only features the zoo, but also numerous tourist attractions such as the Matsue Castle, Aquas Aquarium and multiple art museums. In addition to these, Mt. Sanbe is a popular attraction in the region. Mt. Sanbe is part of Daisen-Oki National Park and is the main peak in a range of volcanic mountains, boasting natural hot springs and the mining site of a third of the world’s silver. The next time you’re feeling down about the holiday to do list or stressed by the hustle and bustle of the season, be sure to remember the Christmas penguins of Japan. They will surely bring a smile to your face and joy to your heart. Many brides want to make their entrance spectacular, as it’s the first moment that the groom sees his bride for the first time. Other brides and grooms do a first look before the ceremony, where it is just the two of them, and they have a private moment to enjoy before the craziness of the ceremony and reception set in. Whether it’s a grand entrance or a first look, it’s a special moment that should be captured with video and photography and one that stands out. For one couple, this moment turned into something much more. Jake and Faye Lorraine VanSickle started planning their big day, and obviously one of the details that were important was photography. They started working with Rebekah Lehman, who owns Kindred Photo & Design in Michigan, to go over the photography needs of their special day. After the meeting, bride-to-be Faye went back to talk with Rebekah about something special she wanted to do during the first look, in order to prank her groom and get a laugh. Since wedding ceremonies can be stressful with making sure everything goes according to plan and dealing with the nerves that come along with the big day, having some fun is the perfect way to enjoy the day and make it memorable. During the first look that was planned, Faye wanted to have Jake’s best friend Taylor meet him instead. The first look typically begins with the groom covering his eyes or facing away from the camera, and then the bride comes out and surprises him. Instead of Faye showing up to meet Jake, Taylor was there with a wedding dress on. Jake admitted after the prank that it took him a split second to realize what was going on. After he realized what was happening, he played along and had a fit of laughter. 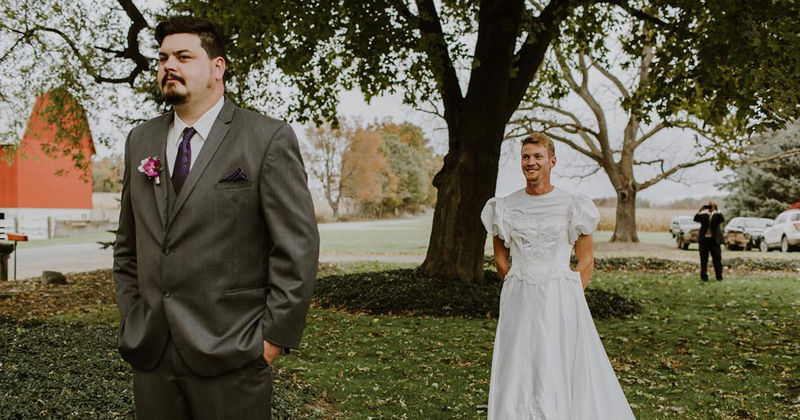 He couldn’t believe his bride pulled off the prank and he was staring at his best friend wearing a wedding dress. After some fun photos of the two best friends, Faye came out in her wedding dress and the two had a real first look photo shoot. During the shoot, the bride and groom couldn’t stop laughing, but they still had the adorable photos of them gazing into each others eyes and showing their love, along with other images you would want for your wedding day. Photos of the prank were posted on social media and quickly spread. The photos received around 31,000 reactions, and people from around the world were commenting on the funny prank and how cute it was. First look photo shoots aren’t necessarily a new wedding trend, but they still are a hot topic for those who are planning their wedding. There is a superstition and time-honored practice of not seeing the bride before she walks down the aisle, so some couples decide to stick with that. Other couples choose to do a first look photo shoot, in order to get in some more photos before the ceremony begins so they can enjoy the reception they worked so hard at planning, as well as the cocktail hour with their guests. For many brides and grooms, a first look provides the couple a way to ease some of the nerves that come with the big day. In this case, the first look not only gave Jake and Faye some time to enjoy as a couple before the wedding festivities began, but it also gave Faye the perfect opportunity to give her groom the memory of a lifetime and start their marriage with laughter. This was one enjoyable first look for all those who were involved. Lucy Goacher has loved animals all her life. She has always protected and cared for them. Even back to when she was little, she surrounded herself with animals for whom she loved and cared. She treated every animal with the same kindness and love. She didn’t treat any one animal different from any other. She had pets of her own and she was used to being around all different types of animals. Many of the animals she cared for were wild. She was known to rush a wounded bird home to care for it and nurse it back to health. If she stumbled upon an animal by itself, she couldn’t help but take it in so it wouldn’t be lonely. She never considered that maybe the animal preferred to be by itself. No, instead she brought it home and made it her own. Still that didn’t prepare her for what was going to happen to her pets’ food one random evening. Based on how she voraciously cared for all animals, one would think that she went into a career geared towards caring for animals. She did not. She became a writer instead. Once she found herself in a stable career, she decided to adopt some pets and take them into her home, just as she did when she was a young girl. That is when Bruno and Hans, two Dachshunds entered her life. Shortly after that, she expanded her family by adopting Libby, the cat. They were all happily and healthily co-existing. Or so she thought. She began to notice something about the loves of her life. They looked like there were losing weight. This was confounding to Goacher because the food bowls were always empty. She just didn’t understand what was happening with her pets. It seemed as though they were eating everything she gave them, and yet, still losing weight. She wondered if they had some terrible disease that was causing them to waste away. She couldn’t think of any disease that would do that and affect both cats and dogs. In all her years caring for animals, she had never heard of such a thing. She pondered this for some time until the reason they were losing weight became shockingly clear. She heard all this commotion outside one night and became a little nervous about what it possibly could be. She looked outside and saw an animal eating the food right out of her animals’ bowls. She couldn’t believe her eyes when she realized it was a fox. Soon she realized there were four of them. 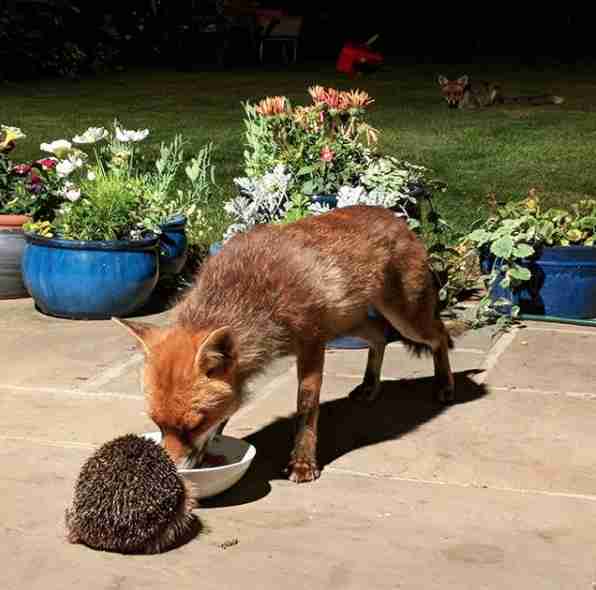 She knew enough about foxes to know they can be vicious, but she thought she would try to make them feel welcome by leaving extra food. The foxes and her animals got along just fine and there never seemed to be any problems. They even played together. They were so cute together, she even began taking pictures of them all together. Then one night, another animal came walking up. It seems the news of Goacher’s kindness was spreading throughout the wild animal community. This time it was a tiny hedgehog. She held her breath and she prepared for the foxes to attack, wondering what she would do if they did. Her worry was in vain because all of the foxes let the little guy walk right past them and even let the hedgehog share in the bounty. In all her years, she had never seen anything like it and was pleased to be able to witness it right in her own backyard.